Masters Runners Land on MARS? Is there anything better than being a teenager running through the mud in a cross country running race? Until a few years ago, I could not imagine having more fun as an adult runner than I did as a teenager. But as a teenager, we take most things for granted and are invincible. Adults can appreciate their accomplishments perhaps a little more, even when those accomplishments are much more modest. Watching the start of a Masters Cross Country race is high entertainment value. Seeing runners as old as their 70s and 80s with racing gear on, doing strides, As and Bs with huge grins on their faces is a joy to witness. Witnessing the final push to the line and worrying that the runner who fell to his knees as he crossed the line may need CPR is exhilarating (once you see that he/she is ok!). The Breslin Cup is an annual cross country championship for Masters runners (defined as age > 30!!). It is awarded to the best team over 4 races on Sundays in Toronto around 1 pm, allowing same day travel for MARS runners. If the races are held on similar dates to previous years they will likely be October 6,20, November 3 and 17 in 2013. 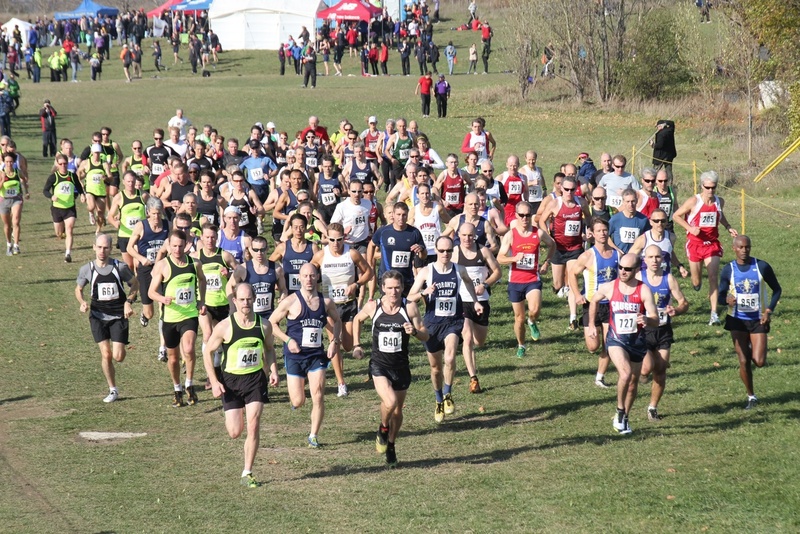 The final race is the Ontario Cross Country Championships whose location changes every year. MARS plans to offer a 16 week program to our high school runners starting in July. Our workouts will be posted on our online calendar in March sometime. Why not join us, get in shape and take a chance running through the mud with a fancy MARS shirt on. I can’t promise that you’ll win. I can promise there’ll be mud, you’ll get dirty, you’ll have great fun running on a MARS team, and you’ll smile when you’re done. Come out to our meeting March 19 7-9 pm at The Active Living Centre to learn more. This entry was posted in Masters Running, Races and tagged Masters Running, Running. Bookmark the permalink.